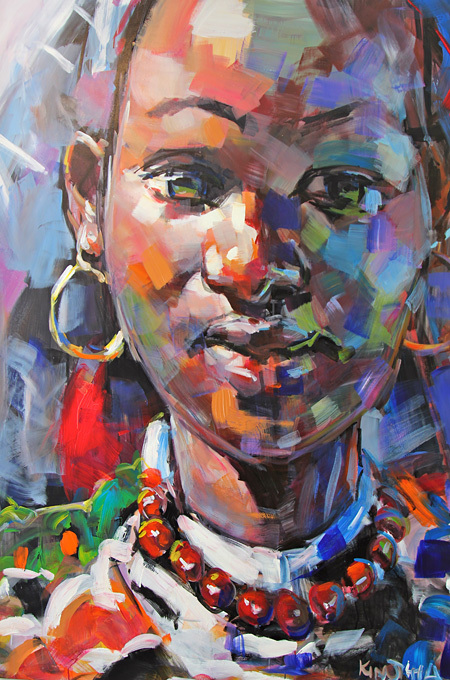 The People of Kenya portrait exhibition brings together the vibrant painted work of Kenyan artist Patrick Kinuthia. 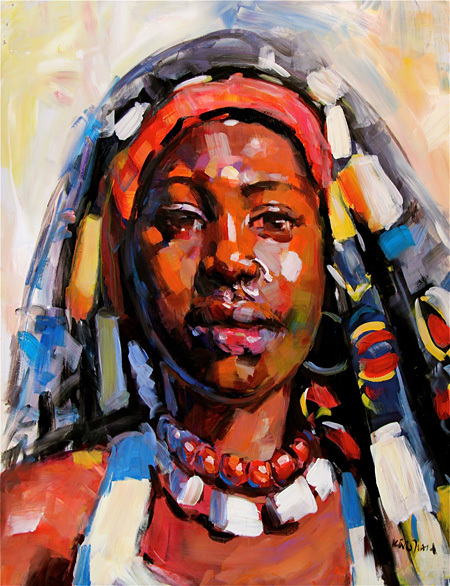 For over 20 years Kinuthia has been creating colourful, expressive and personal artwork from his studio in Red Hill, Nairobi. Kinuthia is interested in portraying the culture within a culture, focusing on the many tribes within Kenya and their diversity. There are over 50 tribes in Kenya, many of which are represented in this exhibition, most notably those from the east and northern parts of the country where their traditions are still strong.